Aromatherapy has the power to boost your mood, help you relax and enhance your focus. Come summer, we’re less inclined to indulge in aromatherapy candles and rich body oils that give us winter hygge vibes. Instead we’re reaching for rollerballs, balms or sprays that we can use on the go. The smell of the essential oils in aromatherapy is linked to emotion, which is why scents can affect the way you feel. You might associate citrus with a happy childhood holiday in the Mediterranean or lavender with a relaxing walk in the countryside. Unfortunately aromatherapy won’t make a stressful situation disappear, but it can help you feel calmer, stronger or happier, depending on the blend. 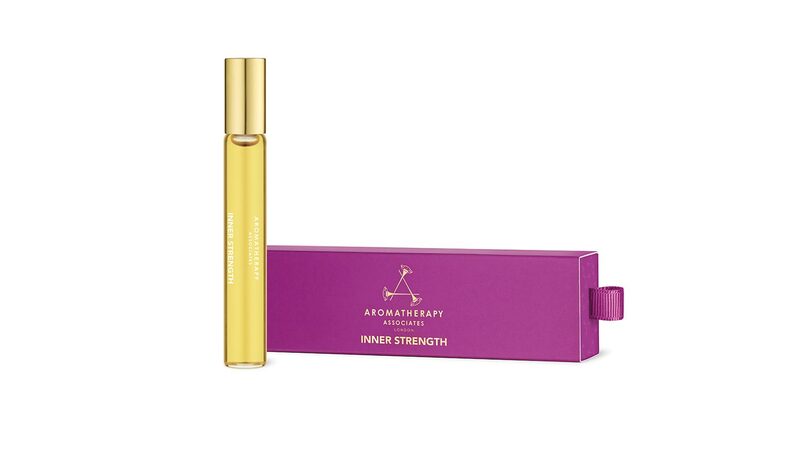 So when you’re stressed, exhausted or in desperate need of a good night’s sleep, find an aromatherapy product you love, take a deep breath and let the power of scent work it’s magic. The Spa Spies have been testing a range of aromatherapy products that are perfect for the busy months that lie ahead. 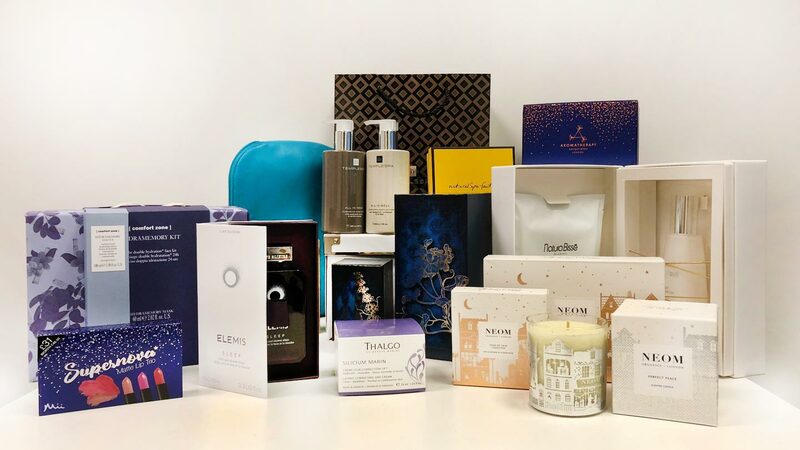 The packaging is classy and instantly recognisable as Aromatherapy Associates: it looks expensive. There is a little pull ribbon to easily remove the product from the box – a nice touch. The roller ball application makes it easy to apply to your pulse points and the scent is pleasant; not overpowering but warm and reassuring. The product is 100 per cent natural which means no mysterious ‘parfum’ if you find it gives you headaches. Applying the scent and taking a deep breath to inhale really did give me a sense of wellbeing and relaxation, helping me to focus. You can also use it as a perfume. A lovely product and beautiful presentation. It is a nice size to be able to carry with you at all times. The price is reasonable for a holiday purchase and it feels like a little treat to soothe when needed. The two-tone elegant tube has the words Life Elixirs and Elemis Fortitude written in silver. The tube itself is placed in an equally elegant box with instructions on how to use it. 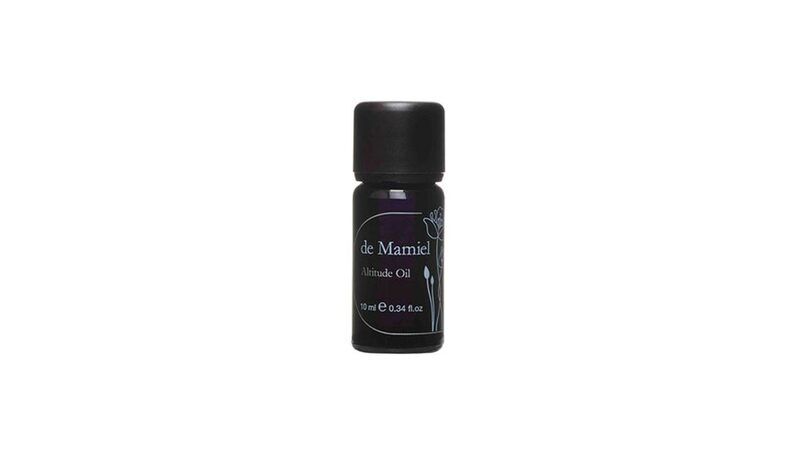 The oil felt light as I applied it to my pulse points, it absorbed quickly and didn’t sit on my skin. The scent reminded me of my favourite spa and I was transported each time I caught a scent of the oil during the day. It definitely does: I was instantly relaxed and enjoyed having a scent I associate with pampering to draw on throughout the day. I love it! It’s classy and elegant and fits easily in my purse so I can regularly top up. A hand-blended mix of lavender, eucalyptus, mint, pine and patchouli essential oils. This ‘antidote to in-flight stuffiness’ comes in a cute black box with a pale blue ribbon, and a Vogue 100 Beauty Hall of Fame sticker. Inside is a small, black glass bottle with a twist-off plastic lid. It looks very Art Nouveau with a pale blue and cream logo. The instructions say to sprinkle a few drops on a piece of tissue and breathe deeply. When I don’t have a tissue handy, I use my cuff or even scarf (just don’t try using it on silk, it’ll never come out), or dab it on my wrists. The fragrance is both head clearing (the mint and eucalyptus), warmly comforting (lavender) and totally spa. The scent remains for about an hour before it fades. I have had this for a year and take it with me on all journeys, from bog standard British Rail (blocks out smells) to a long-haul flight to the Maldives, even on car journeys if I’m feeling stressed beforehand. It might be the act of deep breathing, but I find it both calming and reassuring. The Calm Balm comes in the most gorgeous packaging, it feels like a little present to yourself. I opened the bow on a small box to find a small frosted black pot with a silver lid. It promised that I would sleep beautifully. Inside the pot is a white balm that looks solid but it is soft to touch. I dipped my finger into the pot and applied the balm to my pulse points before climbing into bed. The scent is subtle and calming; thankfully there was no overpowering lavender. The balm felt pleasant to apply, slightly cooling and very hydrating. My wrists have the occasional eczema flare up, but the calm balm did not aggravate this. Yes – it really does work! 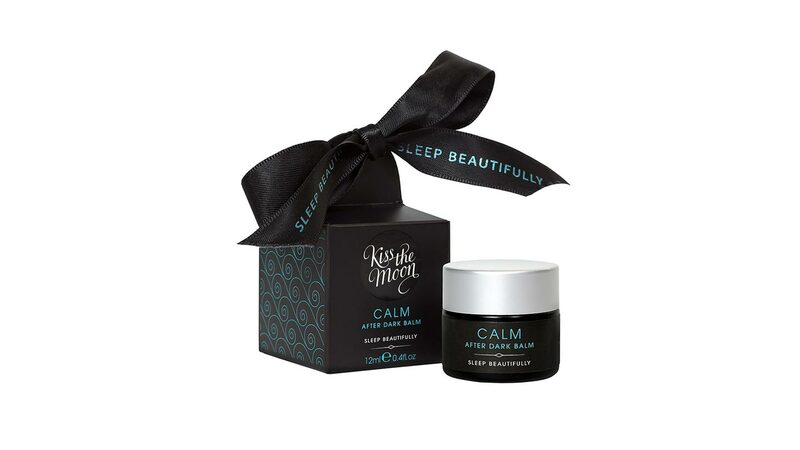 I struggle to switch off and sleep at night but when I use the Calm Balm, I was out like a light. I make sure I deeply inhale the scent as I apply it and can instantly feel myself relaxing. This little pot will last a very long time and when it’s run out I will definitely add it to my shopping list. The sturdy packaging and small size of the product mean that it’s ideal to travel with and I’ll take it everywhere this summer. Essential oils of rosemary, lavender, citrus bergamia, geraniol and lemon. Instantly recognisable as Neal’s Yard – with its smart navy bottle and iconic logo – this tiny product can easily fit in a make-up bag or pocket. The twist off top makes it easy to apply. Part of the Remedies to Roll range, which also includes Relaxation, Night Time and Energy, Travel is designed to alleviate the stress associated with being on the move. Unscrewing the cap, the roll-on has a strong scent of lavender with a hint of rosemary, while the fast-moving rollerball glides over your wrist easily. One slick over the pulse does give an instant sense of calm; the subtle smell working away in the background while you get on with the job in hand: travelling. I reached for it during a frustrating traffic jam and managed to stop the steam from coming out of my ears. With its Soil Association Organic stamp, smart packaging and affordable price tag, anything from Neal’s Yard generally gets my vote. I love the Remedies to Roll range with its four different aromatherapy blends to suit your mood; I can’t wait to try Energy for a mid-afternoon pick-me-up. The outer packaging is a small white box with simple black writing and a burst of green and yellow at the bottom. It is clean, simple and classy. The clear glass bottle has a silver screw-top lid. A simply beautiful scent that I could just bathe in. Neom aromas are a little more complex than many aromatherapy products so the scent is uplifting without being too heavy with one essential oil. The oil is smooth, and sits on the skin for a short while before sinking in. It may be completely psychological, but I do perk up when I’ve inhaled this product. The smell makes me smile, albeit temporarily. 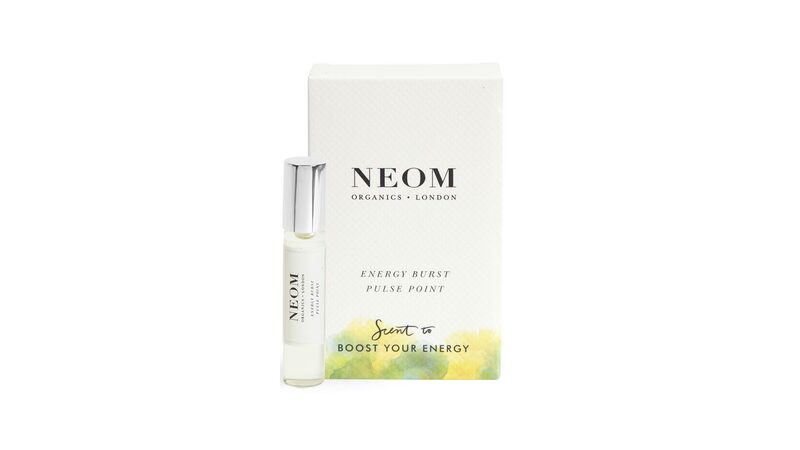 Neom have the same scent in a full-size perfume which I may be adding to my Christmas list. For £8, this is a make-up bag must-have. It comes in an on the go mist too, if you prefer a spray to a rollerball.